Valley City (CSi) The Valley City Commission met in Regular Session Tuesday evening at City Hall. All members were present. Monthly Reports from the Fire Chief, Building Inspector, Auditor, Municipal Judge and Public Works Accountant. The City Commission approved the Second & Final Reading of, an Ordinance Recodifying the Revised Ordinances of the City of Valley City and Repealing & Re-enacting Title 1, General Provisions. City Attorney Schoenack explained how she changed the language, concerning wording, and definitions. Approved was the Second & Final Reading of an Ordinance Amending Various Sections of Valley City Municipal Code (V.C.M.C.) City Attorney Schoenack said, this is the final Ordinance of the recodification process, with the draft to be prepared over the next few months. 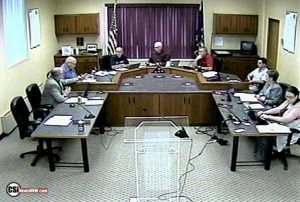 City Commissioners approved a Resolution Amending & Recreating Storm Sewer Improvement District No. 50. KLJ said various drainage issues were addressed, including along 10th Street and Winter Show Road. A new list of properties affected has been drawn up. Approved was the Urban Roads Project Submittal List for Fiscal Year 2020-2023. KLJ said this is a yearly process in December of each year. Approved was the Amended Employee Policy & Procedure Manual as drawn up by City Attornery Schoenack. David Schelkoph said the preliminary 2019 Public Works budget has been approved, with zero rate increases for 2019. He pointed out the new city website that is now on line, adding that it is more user friendly. The public is invited to give additional ideas to include, or not working correctly. StreetScape II has made a recommendation of KLJ to perform the work for the city. City Attorney Schoenack said, a new binder will be included in the recodified Ordinance, with the former ones from the 60’s and 80’s. Building Inspector Dave Andersen reminded residents of removing snow from sidewalks with 24 hours of a new snow fall event. He added asbestos is being removed from the old power house, with demolition slated to start next week. Gary Retterath reminded residents to be careful with heating devices. The meeting was shown live on CSi Cable 68 followed by replays.